H Ng (b. 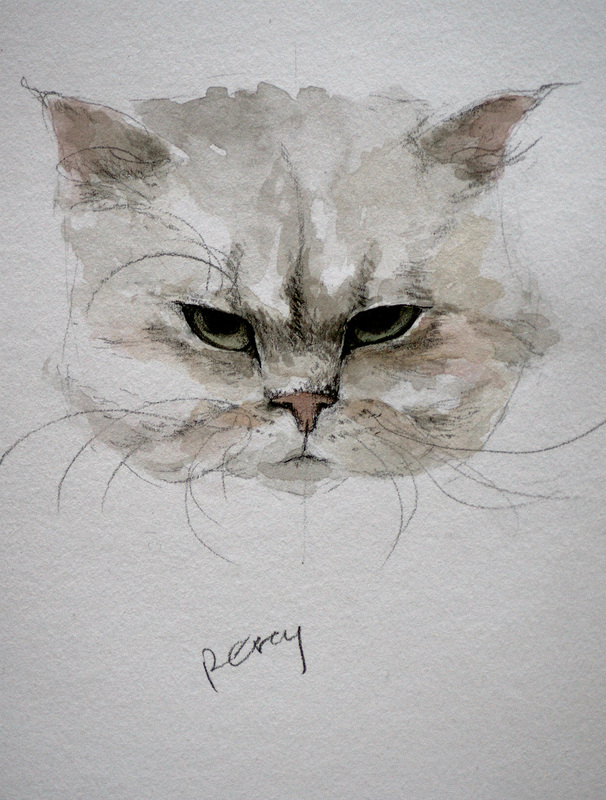 1976), a Perth-based Singaporean, is a librarian by trade and cat fosterer by choice. "The best part of being a foster-carer is the thrill of not knowing which cats we are assigned to," she says. "Their leaving is certainly hard, but knowing that they have found a forever home makes everything worthwhile." 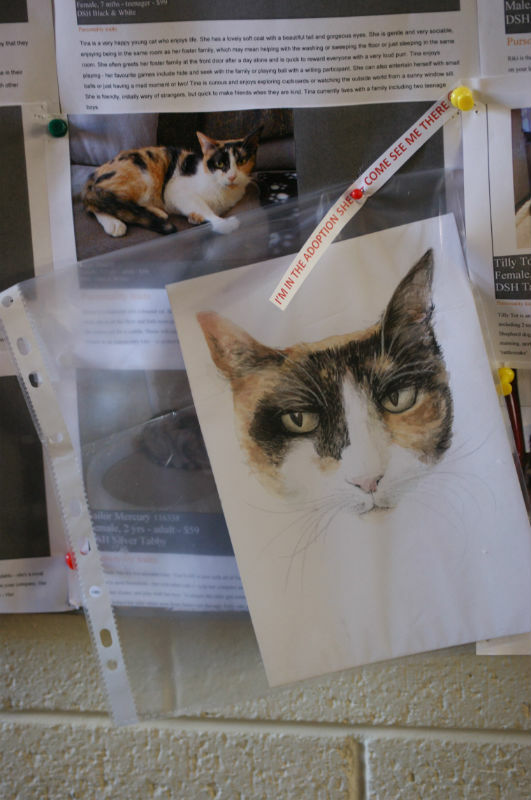 Her 1-hour Kitties project started as a way to kill time during her lunch breaks. "I used to pick random kitties from this website, but now I am particularly drawn to the ugly, sick and old cats," she says. 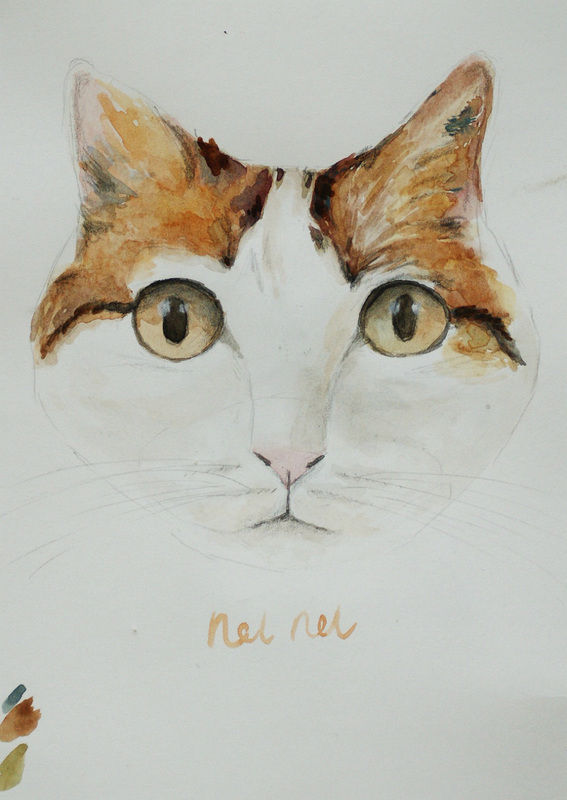 "All the drawings are given to the cat shelter as a donation [to encourage adoption] and, by contributing to WeAreAWebsite, I hope to motivate myself to take watercolour more seriously."